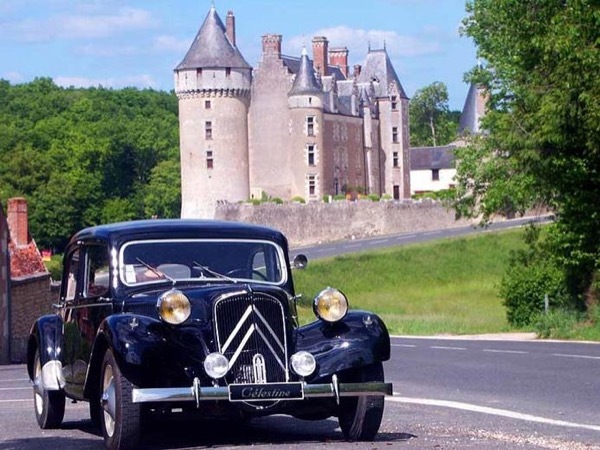 Traveler Review for Private Tour in Touraine, France by Tour Guide Susan W.
About Susan W. Message Susan W.
The tour was designed to accommodate the fact that we were staying in Chinon, so pick up and drop off was from this delightful Medieval village. We visited two very different Chateaux, Montpoupon and Chenonceau, had a wonderful "local's lunch"' and visited a winery for a wine tasting and guided tour of the workings. The two Aussies making up the team of driver and guide were very knowledgeable and being Aussies ourselves, we enjoyed the tour immensely. Celestine, the vintage Citroen was also a star. TOUR GUIDE RESPONSE: Noel. It was great meeting you - I hope the rest of your trip runs smoothly!